The problem of spectrum scarcity is an important issue in the field of cognitive radio ad-hoc networks. This problem attributes to the fact that spectrum usage must be efficient, today. 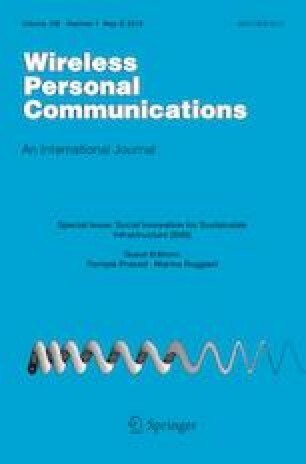 In this paper, a Modified-Packet Reservation Multiple Access Protocol is proposed for decentralized cognitive radio ad-hoc networks by making the use Opportunistic/Overlay Spectrum Access method for share spectrum with primary users (PU) to cope with the problem of spectrum scarcity and inefficient spectrum utilization. The Secondary Users can use the unused time slots assigned to PU. The protocol designed in this paper is a combination of slotted-ALOHA and CSMA/CA protocol. In order to analyse the model mathematically and derive out the throughput, a four state Markov Chain model is defined in the given paper. The performance evaluation of the discussed protocol is done in terms of the throughput with a number of varying parameters like number of slots, number of packets transmitted by Secondary Users etc. At the end, significant results with discussion are presented in the form graphs in accordance with a number of stated parameters.